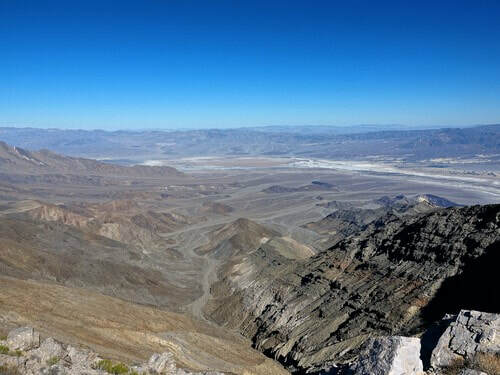 Get a high altitude (6,433') view of Death Valley from the west and also visit the Eureka Mine and Cashier Mill. 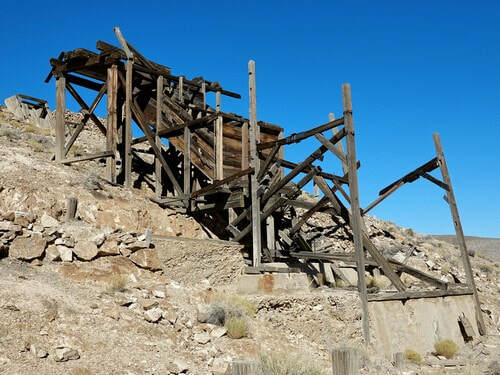 Start your trip by visiting the Eureka Mine and Cashier Mill about 2 miles in the road. The Cashier Mill was built in 1909. 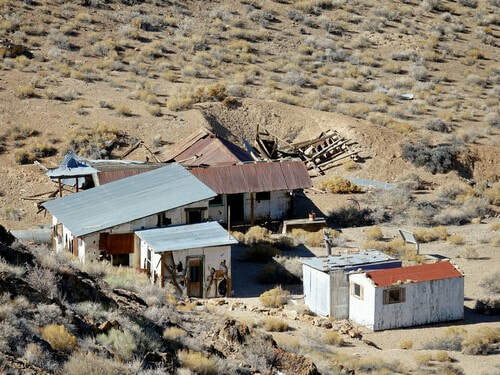 Powered by gasoline engines, the mill pulverized the ore, then chemical processes using mercury and cyanide extracted the gold. Henry Aguereberry extracted $175,000 worth of gold (then valued at $20/ounce) from Eureka Mine. 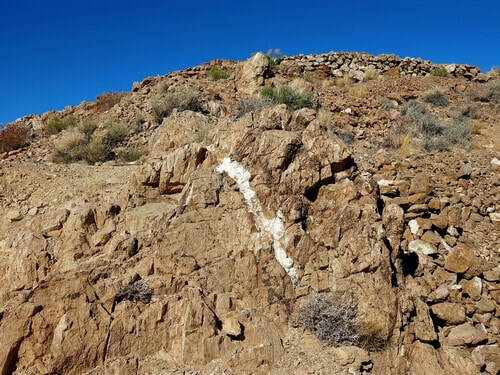 Miners often followed veins of quartz to find gold deposits. This ridge is riddled with mine shafts. 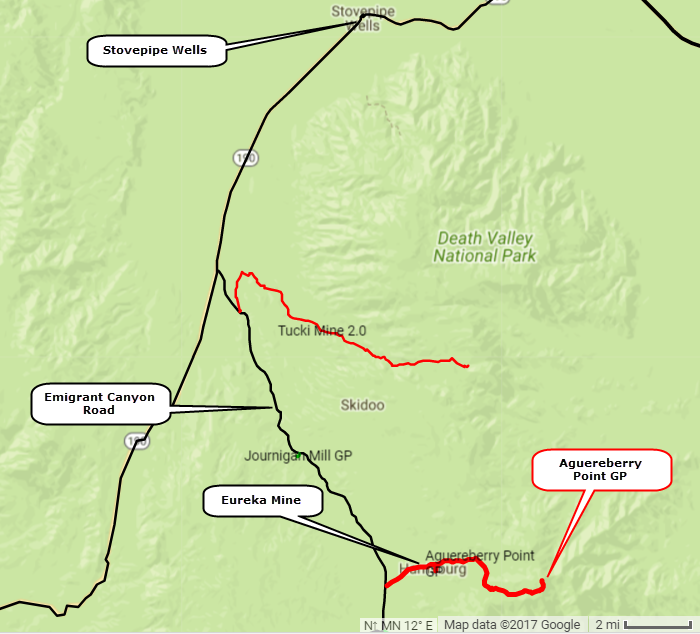 ​Aguereberry Camp is on the other side of Providence Ridge from Cashier Mill. The trail namesake is Aguereberry Point. 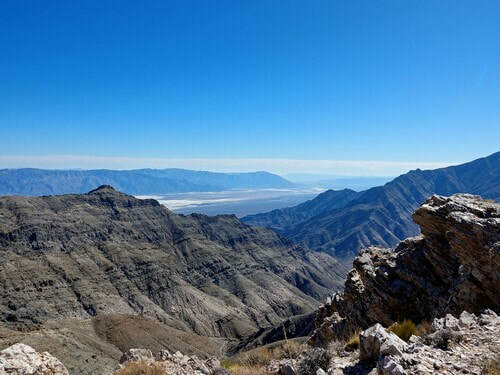 Easy road in and what a view of Death Valley from the west!